Da Vinci Cosmotop Spin Brushes hold more water than any other synthetic, with a large belly that tapers to a fine point. The blending and placement of five different diameters of fine synthetic filaments make this brush perform like natural hair. 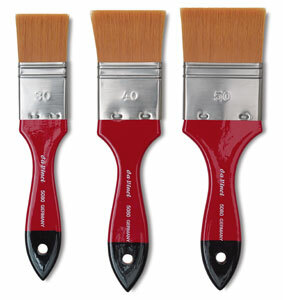 The long-lasting, high quality synthetic fiber in these brushes has an energetic spring. 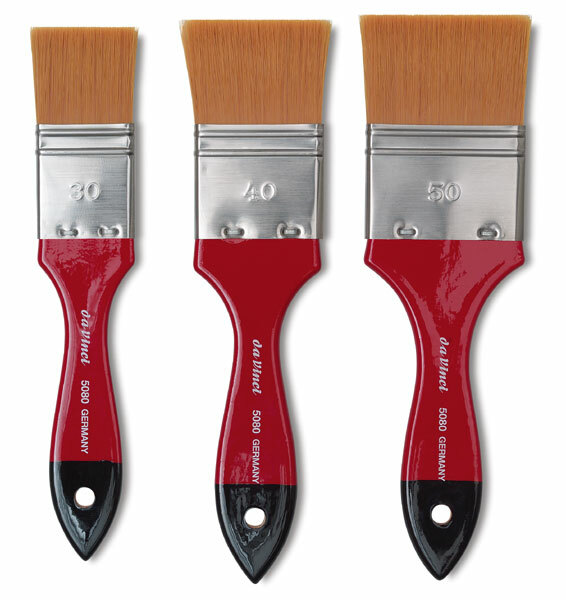 Every brush is made by hand, so the handles may vary slightly in appearance. Vario Tip Brushes — These brushes feature a blend of Spin and Nova filaments in different lengths for parallel line and multi-textured effects. They can be used with all media and feature nickel-plated, seamless brass ferrules that are resistant to rust. Holds more water than any other synthetic. The blending and placement of 5 different diameters of fine synthetic filaments make this brush perform like natural hair.